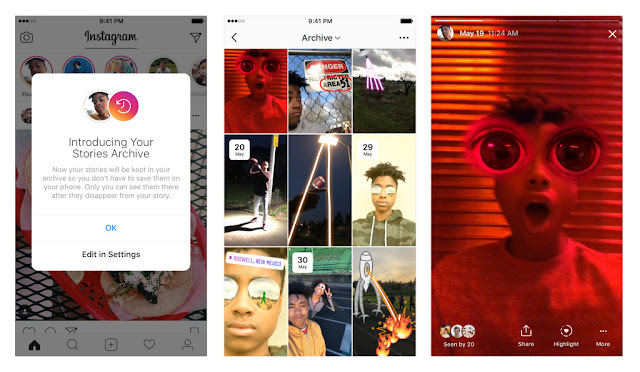 Instagram: Today we’re introducing two new tools that let you hold on to your favorite moments from Instagram Stories and share them in ways that help you express yourself. Stories Highlights is a new part of your profile where you can express more of who you are through stories you’ve shared. And to help you build highlights, your stories will now automatically save into a private Stories Archive so you can easily relive them whenever you want.